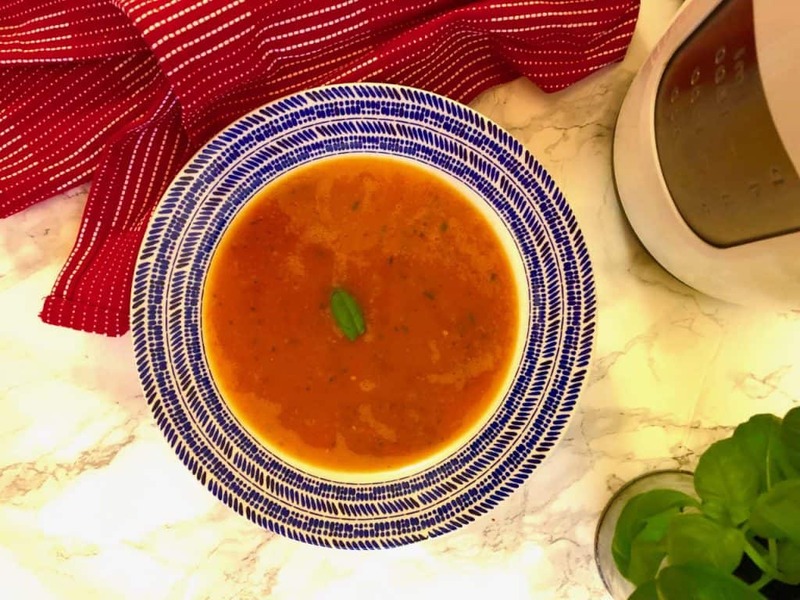 Tomato and Basil soup is a popular classic. It is so easy to make – either in a soup maker or in a pot on the stove, blending once cooked. Some people prefer to remove the skin from tomatoes before souping them, but I don’t find it necessary when using a soup maker. The motor is so powerful that it blends the soup until it is completely smooth, and doesn’t have any bits of skin left. If you don’t have any shallots, 1 onion will be perfectly fine too. Since buying my Morphy Richards Soup Maker I have used it several times a week. Some weeks, every single day. 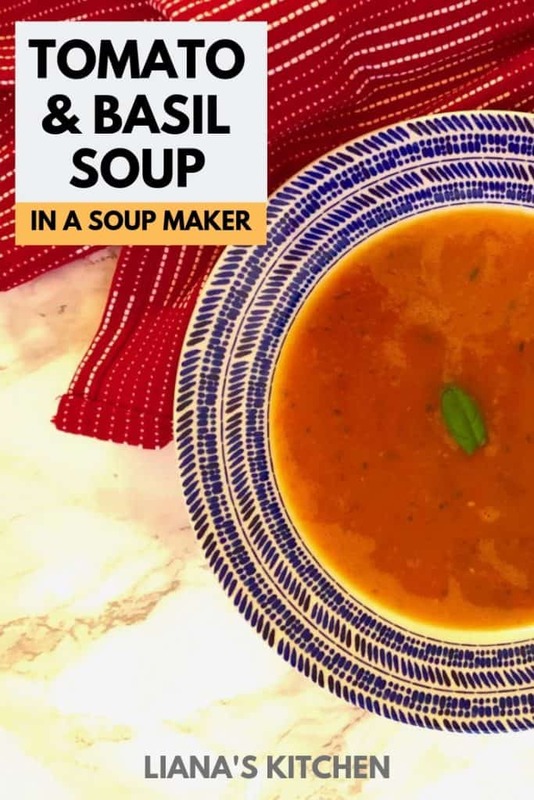 I have been experimenting with many different recipes – mainly to put in my soup maker recipe book – but it’s also the perfect excuse to have soup almost every day! If you enjoy this soup you might be interested in joining my Soup Maker Recipes page over on FB. Come on over and say hi! 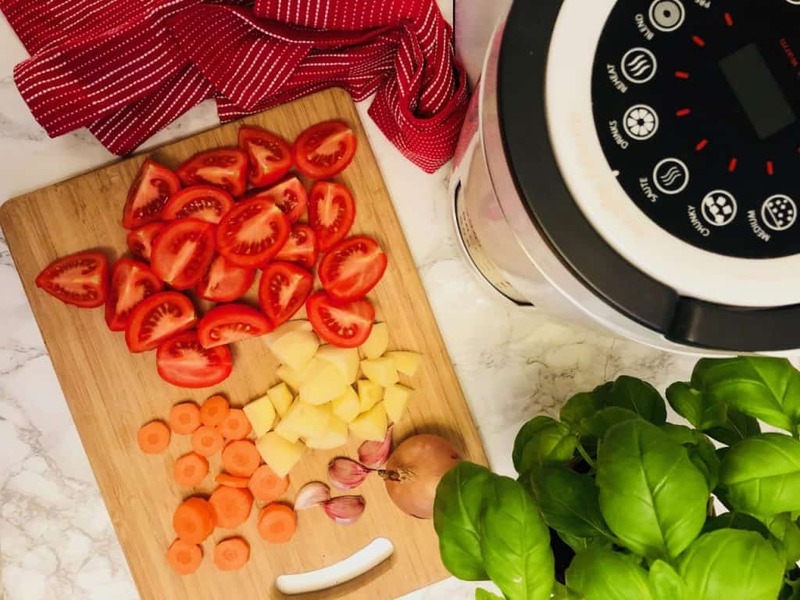 Add all the ingredients (except the basil) to your soup maker. Stir ingredients together. Make sure you don't go over the MAX line. If you are not above the MIN line add some more hot water to top it up. Put the lid on and select the smooth setting. Once the program has finished, take the lid off and add the chopped basil leaves. Blend on the manual setting for about 20 seconds. Garnish with some chopped basil. Did you make this recipe? Let me know in the comments! Do you have a recipe for French onion soup made in a soup maker. If it is as good as your tomato and basil it should be excellent. Thanks Patricia, I’m glad you enjoyed it! Can this soup be frozen please? Hi Hazel – yes it can be. Once it has cooled down pop it in an airtight container or a freezer bag. It will be fine in the freezer for 6 months or so. Enjoy! Thank you and please let me know when and where I can find you cook book ? I look forward to hearing about more of your soups! Lianas recipes are great to kick start a healthy 2019. Beautiful fresh tasting soup. So easy to prep and make. Makes enough for 4 generous servings. Absolutely loving your recipes. Have now purchased your book and I’m thinking of upgrading to a soup maker with saute function. Just made your 🍅 & basil soup which turned out to be just 🍅 as only had dried basil. It was a success. I used frozen chopped onion which still worked. Thank you. Trying to start eating more healthily & this tomato and basil soup is lovely, light and tasty. Will definitely make this again. Hi Sally – I’m so glad you liked it. Soups are a great way to eat healthier foods, you can sneak so many vegetables in! 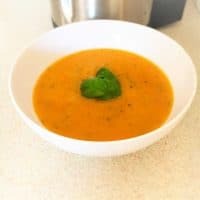 I really want to try this, I had a roasted pepper and tomato soup at a wedding recently and I’ve been craving it ever since! Do you think if I added roasted peppers it would ruin it or be too much? 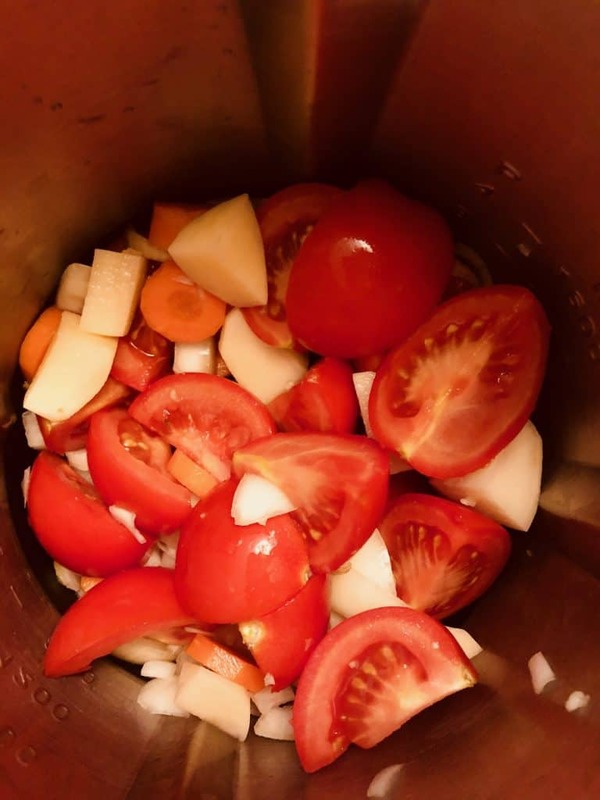 Hi Jessica – Red Pepper and Tomato is a really tasty soup so I say go for it! It will be a different taste to this recipe but I reckon it’ll still be really nice. 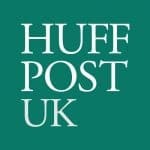 If you do it I’d love to hear how you get on! Beautiful soup -recipe is lovey, my first homemade soup in my soup maker. picked up some large, on the vine, tomatoes from the reduced section of the supermarket this morning, and looked up this recipe. Just had a portion for lunch (it made 3) Absolutely delicious and screamingly healthy! The carrot and potato added to the smooth consistency so well it was as good as “cream of tomato”, and the basil was the ultimate addition. Thanks for the recipe! Hi Carole – I’m so happy to hear you enjoyed it – and what a bonus to get the tomatoes reduced, I love it when that happens!